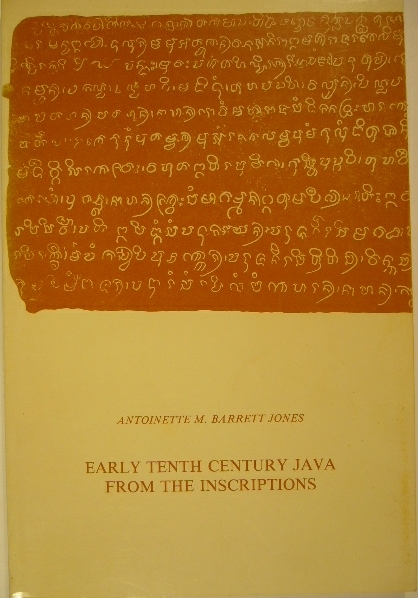 Author: BARRETT JONES, ANTOINETTE M.
Title: Early tenth century Java from the instricptions. A study of economic, social and administrative conditions in the first quarter of the century. Description: Dordrecht, Foris, 1984. Wrappers. XI,203 pp. - (KITLV).